Scott Young, DDS Contents Nick A. This patient came to us with a with tetracycline stain, active decay, severe wear with gum recession and a destructive bite, as well as non-salvageable teeth. 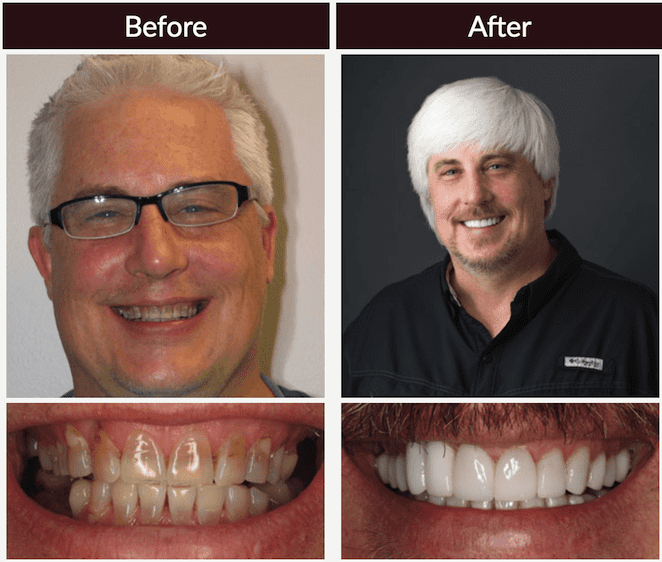 In order to help him regain his smile we used sedation dentistry, opened the patient's bite, used full mouth restorations and implants, and bone grafting. We gave him a uniform and symmetrical smile. He now wears a night guard to protect his teeth while sleeping.